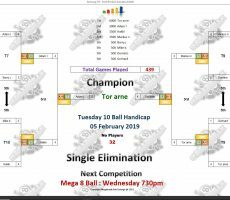 TUESDAY 10 BALL – 5th FEBRUARY : TOR WINS. 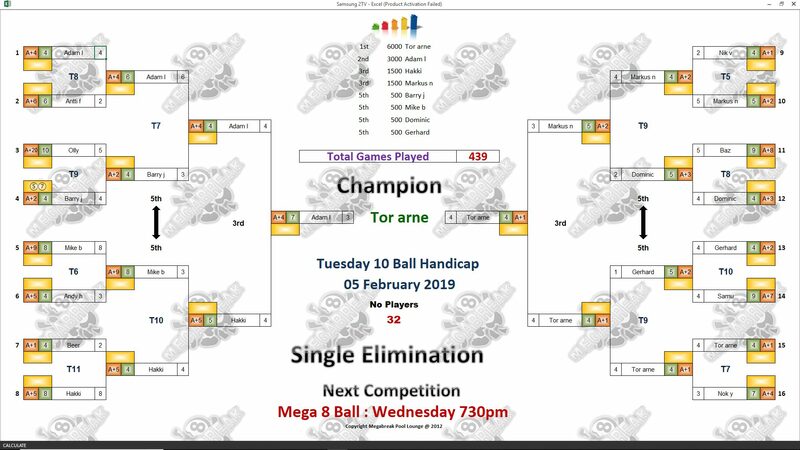 Our 10 Ball Champion for this week is Norway’s Tor-Arne Fenes. 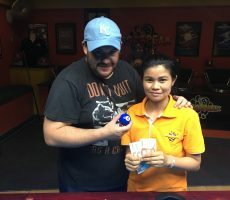 As a regular player with us for the last month in our 9 Ball competitions, he was trying his hand in the extra ball format for the very first time, and it could not have worked out any better. He was undefeated in six consecutive matches to lift the trophy and pocket the 1st Prize of 6000 baht. From a total entry of 32 players, he beat Aussie Adam Lux in a short race final to seal an impressive performance on the night. 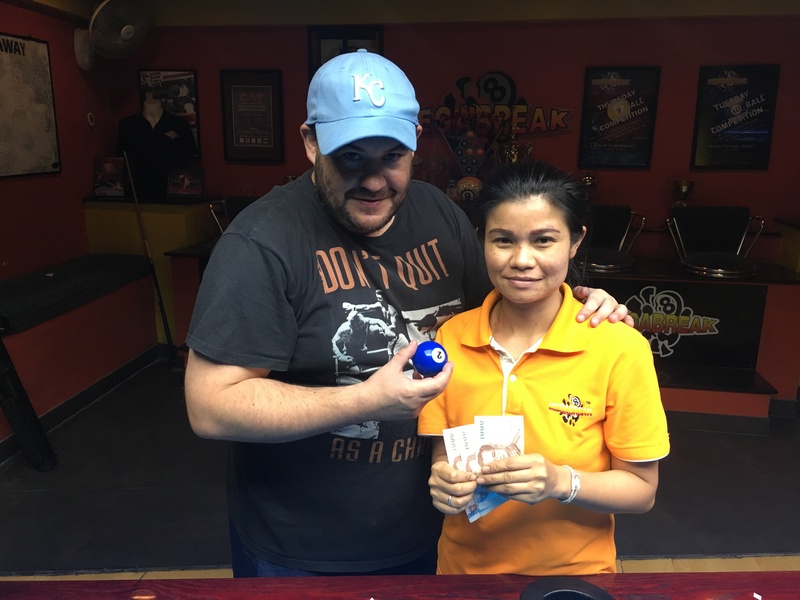 Adam continued his recent run of good form to reach the final, and took home 3000 baht as Runner-Up. His handicap now moves up to A+5 as a result. Finland’s Hakki Hasanen and Markus Nolberczak from Germany both played well to reach the semi-finals, collecting 1500 baht each. 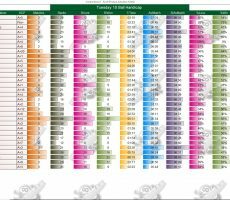 Champion : Tor (A+1) – 6000 baht. Runner-Up : Adam (A+4) – 3000 baht. 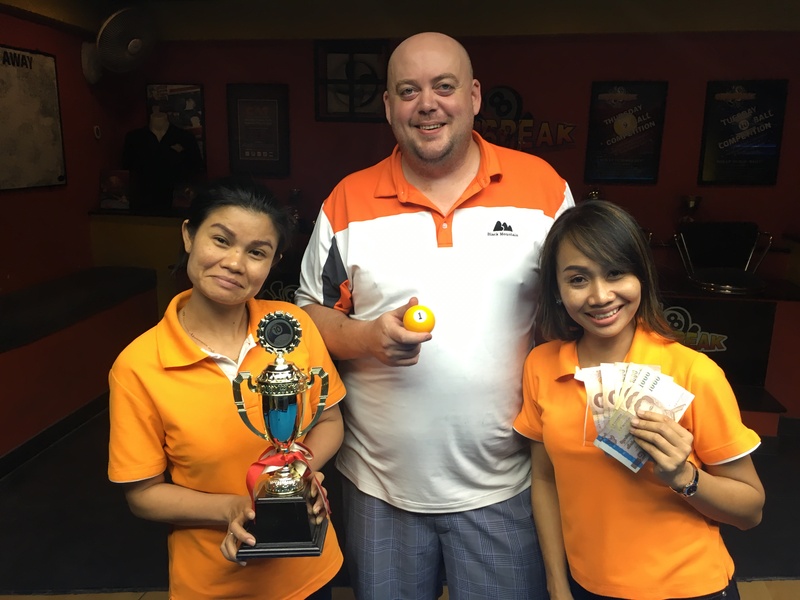 Semi-finals : Hakki (A+5) and Markus (A+2) – 1500 baht each. 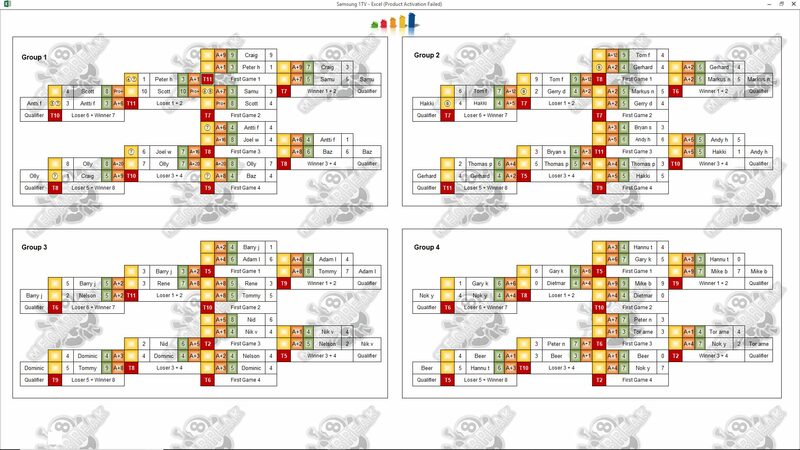 Quarter-finals : Mike B (A+9), Dominic (A+3), Barry (A+2) and Gerhard (A+2) – 500 baht each. The Player Auction Prize Pot totalled 48900 baht and was won by Peter Jiskoot from Holland. He paid 1400 baht for Tor, and they shared the 1st Payout of 14000. 1st : Peter (Tor) – 14000 baht. 2nd : Gerhard (Adam) – 10000 baht. Equal 3rd : Dominic (Hakki) and Craig Jones (Markus) – 5600 baht each. 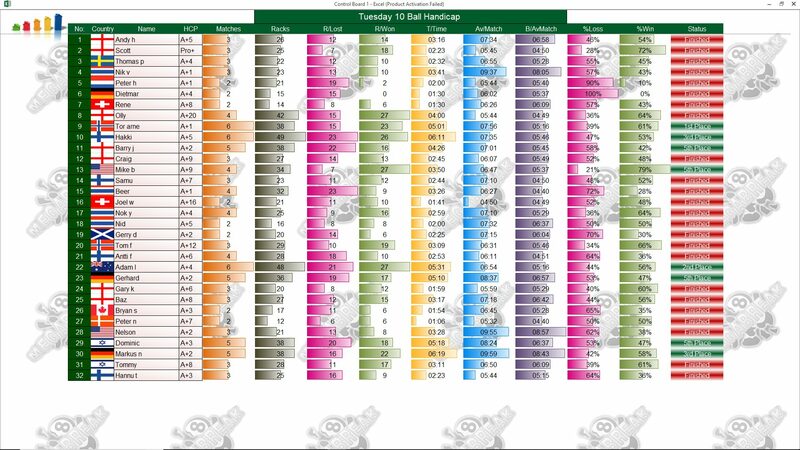 Equal 5th : Andy Hall (Mike and Gerhard) and Craig (Dominic and Barry) – 2800 baht twice each.